This Four Seasons is not the Four Seasons which my nephew had his wedding banquet. 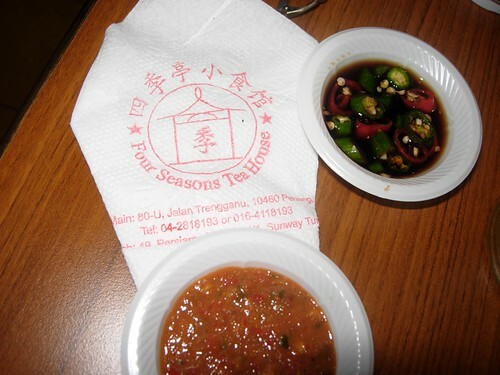 That Four Seasons in Singapore is a posh hotel while this Four Seasons in Penang is a humble and simple restaurant. I have seen the place for a long time but never bother to find out what they sell because it says ‘Tea House’. I thought they only sell tea. Then, I read from Penang Tua Pui’s blog that it is a restaurant in Sunway Tunas with another restaurant in Jalan Terengganu. It is airconditioned and yet, they don’t stuff those peanuts and wet hankies in your face and charge you a fee. I like that. I hate the peanuts because it normally spoil my children’s appetite before their meals. 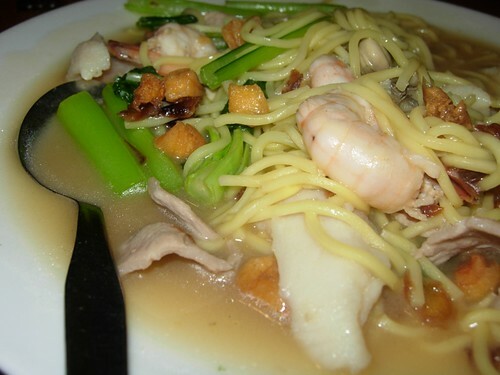 I ordered the oyster noodle which is not bad because it has lots of prawns, oysters, fish and pork fillets. Can you see the crispy bak ew pok (lard pieces)? 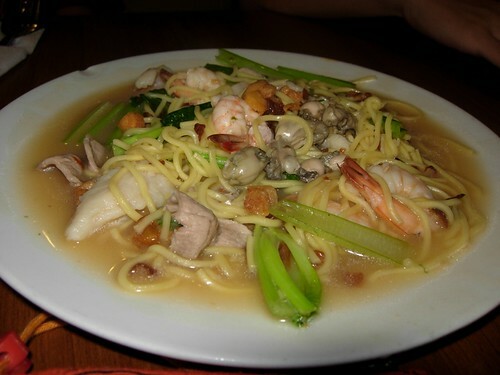 Yummm…..My little boy likes the oyster noodle so much, he hijacked it and ate all the yellow noodles, leaving the prawns, fish, oysters and pork for me. As there are only a few of us, i.e. hubby and another son, they ordered only two dishes and was given an extra bowl of complimentary lotus root soup. Another bonus point for them because normally other shops will charge you at least RM3-RM5 for that bowl of soup with ribs and lotus roots. The above is their signature tofu dish. 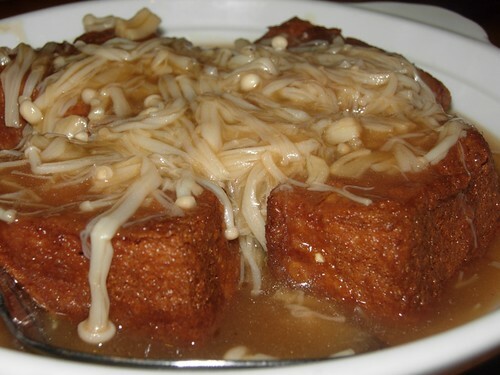 It is tofu with enoki mushrooms and dried scallops. There are generous pieces of dried scallops. 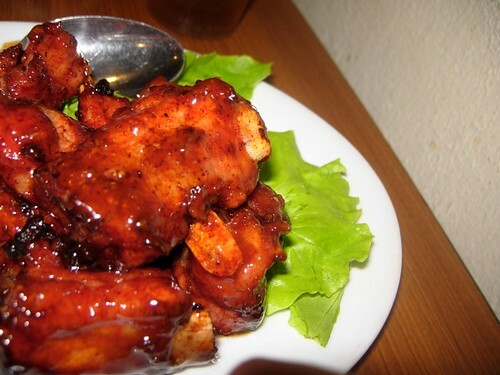 Another dish is the shop signature spare ribs. I am not sure what they flavour the ribs but it has some honey and marmite flavour, I think. I find it a bit salty but that’s probably I didn’t eat it with white rice. Four Seasons is at 80-U, Jalan Terengganu, Penang. The place is very bright with yellow and green signboards. It is somewhere near the Terengganu hawker centre where Jalan Kampar flats are.